I can't wait to read what happens in the next book. 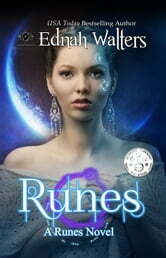 I really enjoyed Runes it was hard to put down! Was looking for new books to read. This book captured my interest, look forward to reading all the others after this. Loved this book, reminded me a lot of Twilight. Very hard to put down, looking forward to reading the next installment! Don't let the price fool you. This is an entertaining book.